Known for her silvery tones, broad solo and chamber music repertoire, and inspiring master classes, Nicole Narboni is a pianist, teacher, and blogger, as well as an advocate for broadening access and understanding of classical music in traditionally underserved communities. 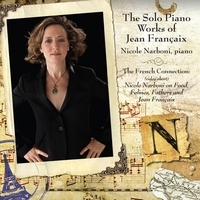 Her new solo CD, The Solo Piano Works of Jean Françaix, is the latest in a series of acclaimed recordings Nicole has made of works by 20th-century French and Central European composers. 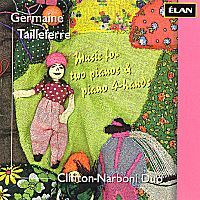 Nicole Narboni has also recorded piano works by Francis Poulenc, Bohuslav Martinu, and Béla Bartók, as well as American composers Paul Bowles and Randall Synder. In addition to her recital appearances in the US and France, Nicole is frequently heard on the American airwaves. Her concert performances have been broadcast on WQXR in New York, WETA/WGMS in Washington DC, and on more than 200 NPR stations nationwide via American Public Media’s Performance Today. She frequently serves as an adjudicator, speaker, and presenter at conferences, competitions, and festivals. Nicole Narboni is a Steinway Artist, and a member of the faculty at the University of Nebraska-Lincoln School of Music, where she has won awards for her innovative and inspired teaching. As testimony to Dr. Narboni’s commitment to teaching excellence, she has received the UNL Parents’ Outstanding Teaching Award on three occasions. Most recently, she pioneered Piano in Tow, a unique musical outreach program designed to bring her award-winning piano performances and teaching techniques to the farthest corners of the Nebraska prairie. You can find Nicole’s unique perspectives on music, the arts, and life in Lincoln, Nebraska on her blogsite: http://drnan.wordpress.com. Her complete biography is here. The moral arc of the universe bends toward justice.